The start of the Jubilee Year of Mercy was held on the day of the Immaculate Conception of the Blessed Virgin Mary, December 8th. 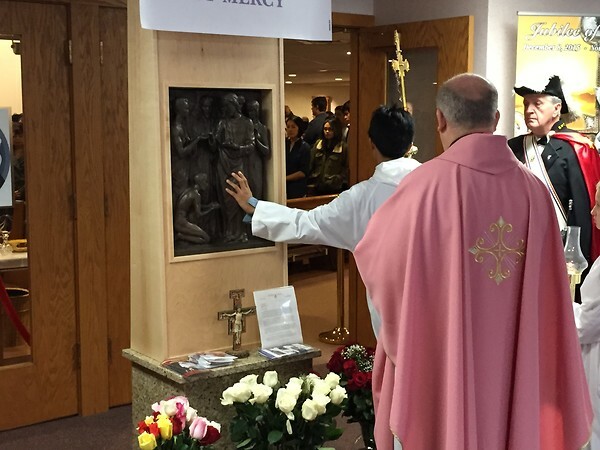 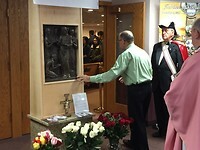 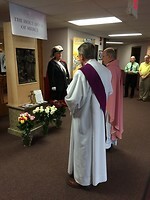 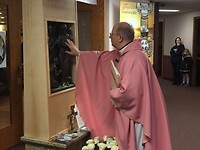 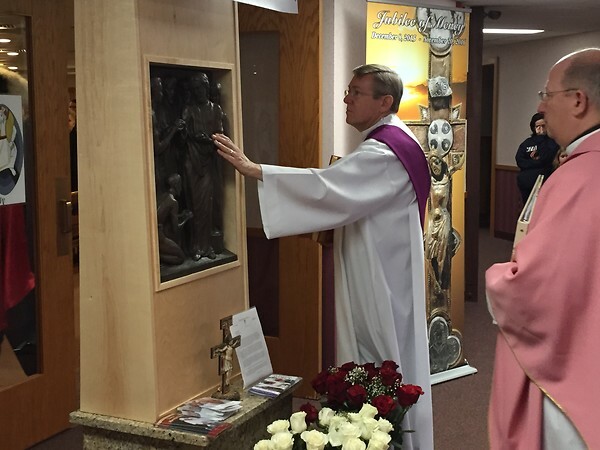 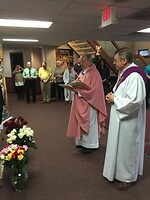 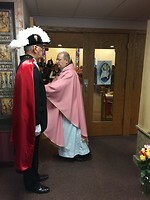 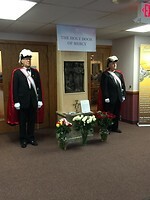 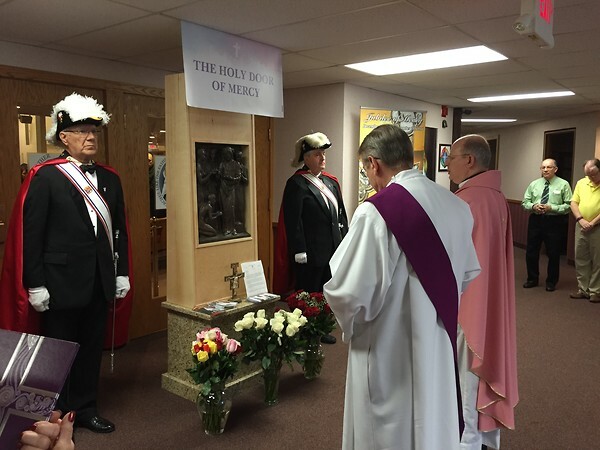 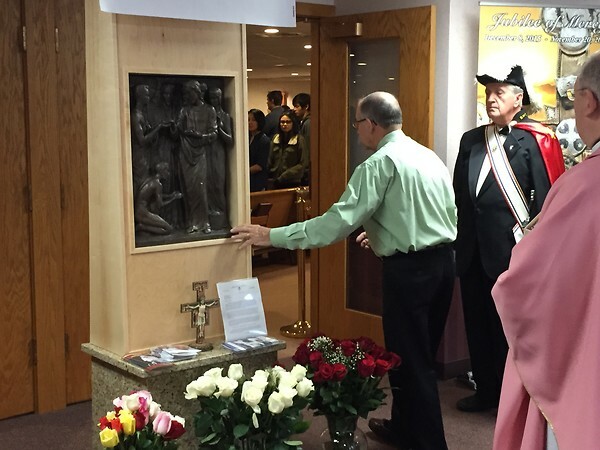 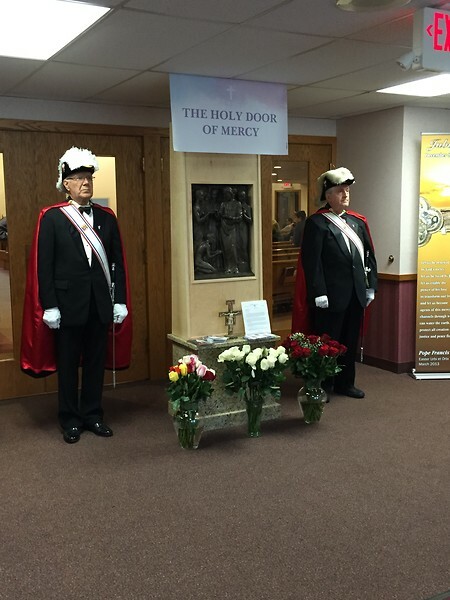 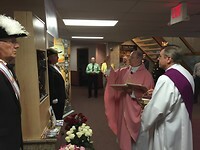 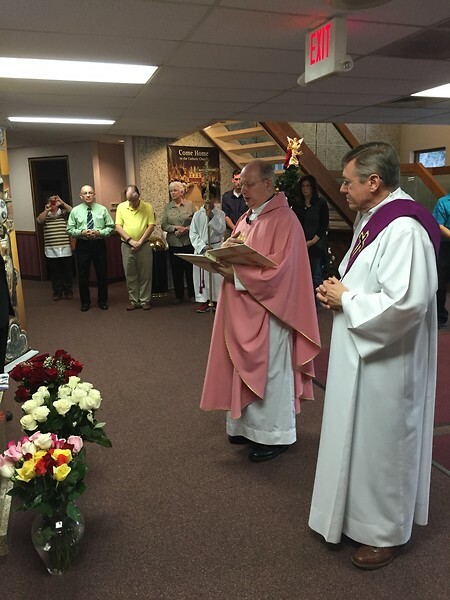 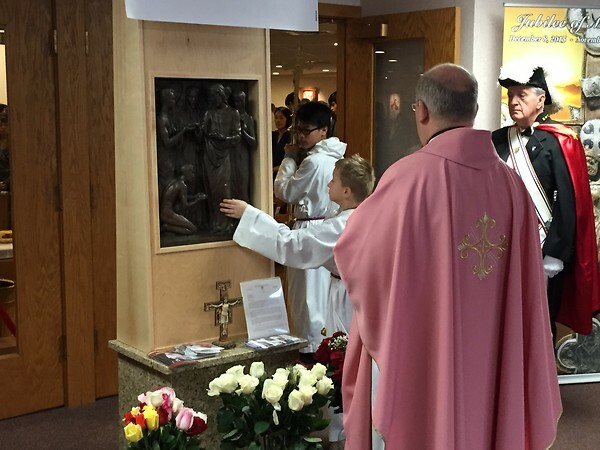 The following weekend our very own Father Walter Takuski blessed the Holy Doors of Mercy. 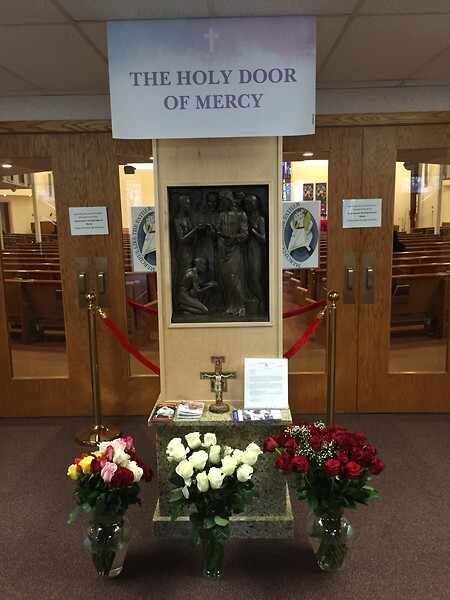 St. Peter Damian was chosen to be a pilgrimage site for the Jubilee Year of Mercy. 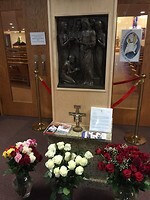 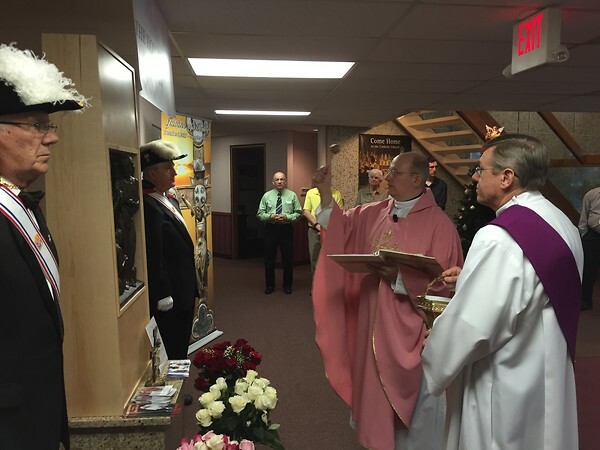 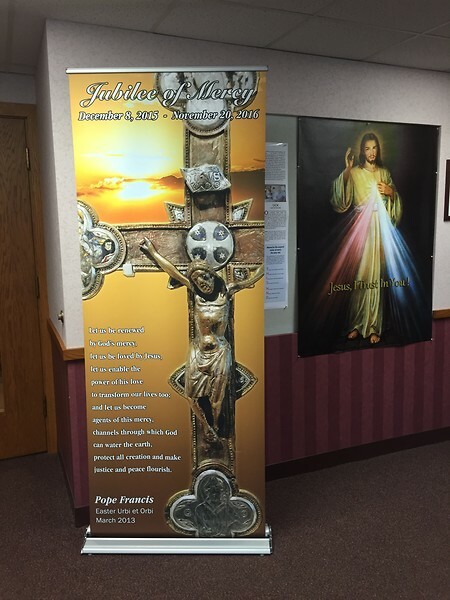 The pictures included are of the blessing held as the introduction to the 11 am mass on December 13, 2015. The banner to the right of the door. 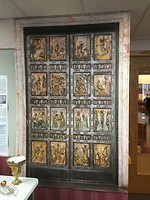 This is a canvas photo of the original Holy Door of Mercy that is at the Vatican in Rome.